Our summer is in full swing and already we have knocked out some of the seasonal "musts" around here. Photos of all of that coming soon, but I had to get this one posted. Remember the photos last year that compared Josie on her first day of pre-school to her last day of pre-school as a three-year old? 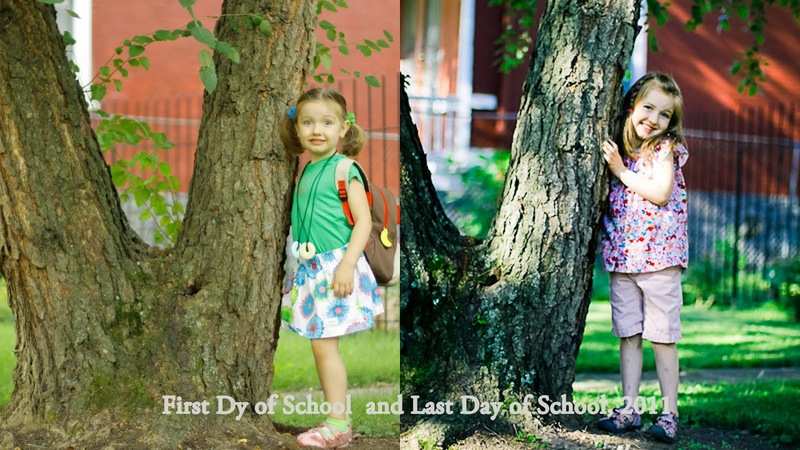 We were all AMAZED at how much she had changed from the first to last day. This year was no different! 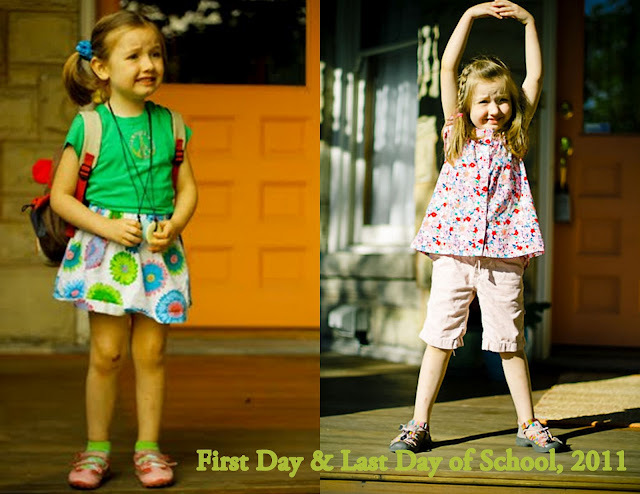 Check out the difference of Josie on her first day of pre-school to her last day of pre-school as a four-year old. On top of the obvious physical changes, Josie learned so much this year! Academically, she is reading & writing and also proficient with basic addition and subtraction (mental math up to 10 and there's no stopping her with bigger numbers if she has manipulatives). She also can do basic multiplication and division, when thinking of them in terms of forming and dividing groups of things. She really hit her stride on reading in the spring and is now shouting out things she reads along the highway. (Just yesterday when driving to her first day of CCM Young Actor's Camp. She said as I pulled off the exit "We're here!" I said "Oh, do you remember this exit?" And she says, so matter-of-factly, "Um, no mom, I read that sign that says Blue Ash.") Josie also learned some important skills this year like tying her own shoes! It's true...she is ready for Kindergarten!